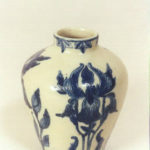 Susan Frackelton of Milwaukee was a leader in the art of china painting, a popular hobby for women during the late 19th century. 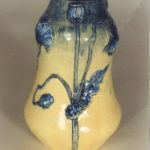 Frackelton authored a widely-read book on the subject, and she developed a portable gas-fired kiln that allowed decorators to work at home. 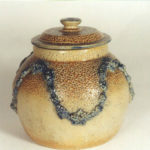 She also won national and international awards for the special mineral paints she developed. 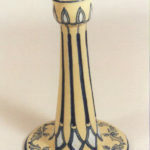 During the 1880s, the Milwaukee-based Frackelton China Decorating Works produced up to 2,000 pieces of professionally painted china each week. 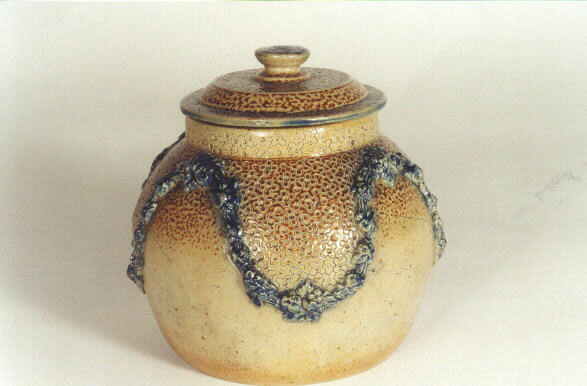 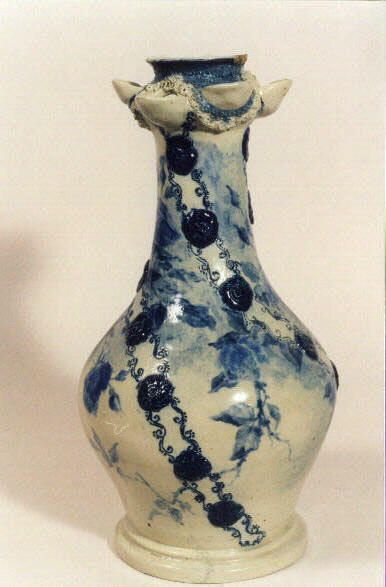 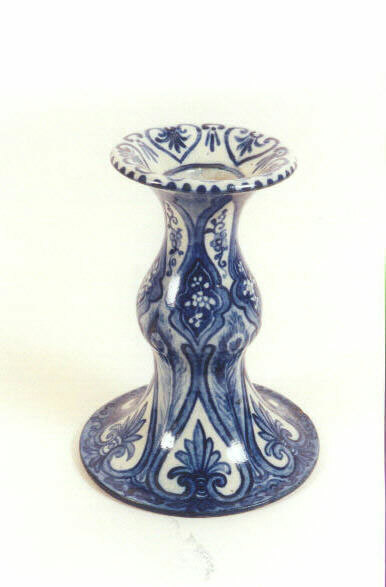 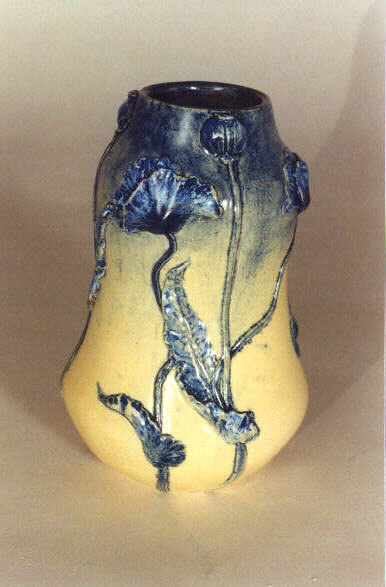 Susan Frackelton was awarded a gold medal at the 1893 Columbian Exposition for her unique salt-glazed art pottery. 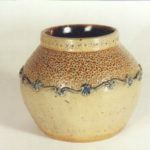 Salt-glazed stoneware, as manufactured by such companies as Charles Hermann of Milwaukee or the Red Wing, Minnesota potteries, was widely used for utilitarian purposes at the time. 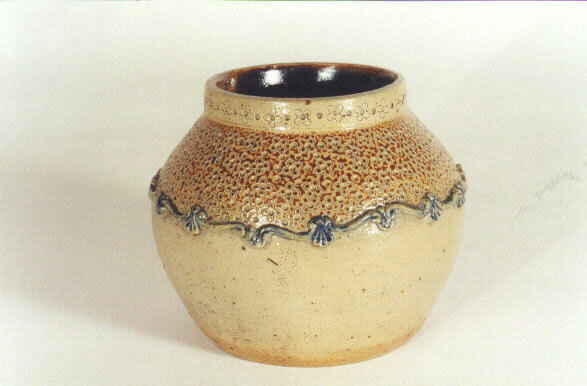 Frackelton was the first to use this technique for art pottery in the United States. 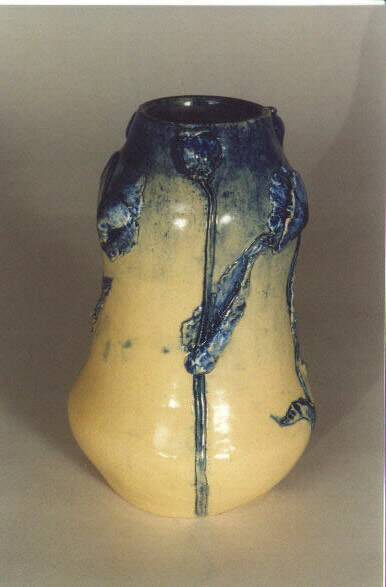 She created her art pottery to demonstrate the quality of Wisconsin clay, rather than as a commercial venture. 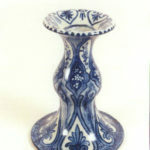 For this reason, relatively few pieces of Frackelton Pottery were produced, and it is extremely rare today. 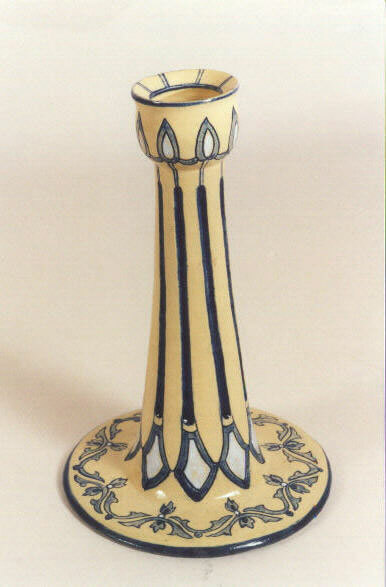 Nevertheless, Frackelton’s work was widely-known and highly admired by her contemporaries. 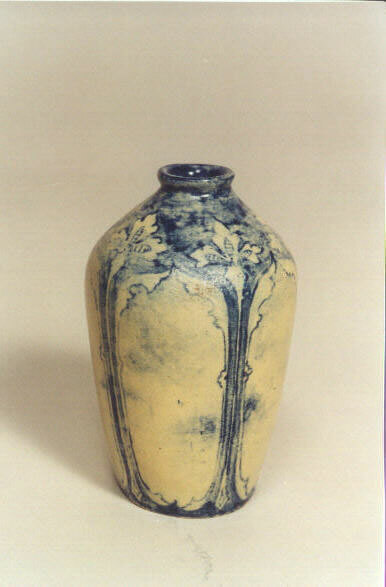 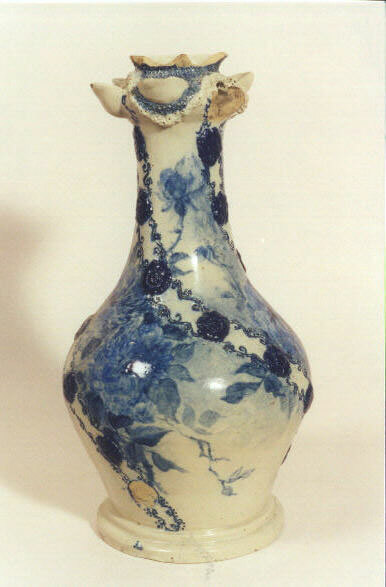 For example, a Frackelton vase was purchased by the Pennsylvania Museum in 1893 for the (then) enormous sum of $500. 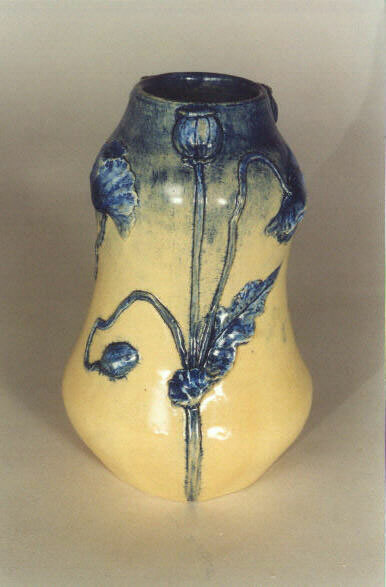 Frackelton stopped potting and relocated to Chicago around 1904, where she died in 1932. 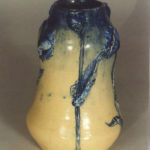 The bulk of the collection in the State Historical Society of Wisconsin was donated by Frackelton’s daughter. 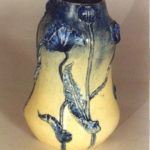 The Wisconsin Pottery Association was happy to display it to the public for the first time at the September 6, 1998 show. 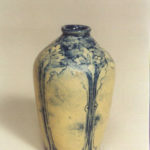 To view this collection, view the gallery below. 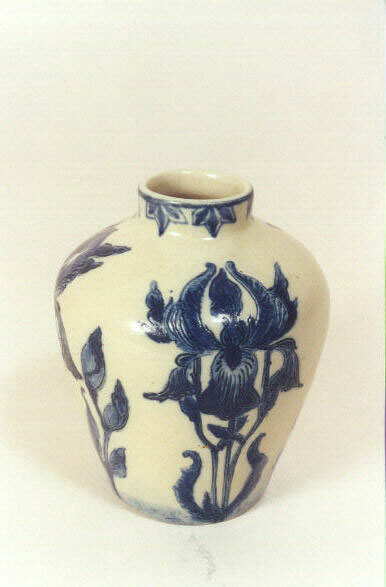 The following items were photographed from The State Historical Society of Wisconsin Collection. 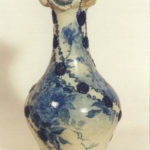 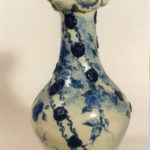 Wisconsin Historical Society – An online version of their exhibit with catalog of Susan Frackelton pieces of painted china, artware and related items.